Tweak to convert 1GB memory card into 2GB. I think you all are Also Follow the Cricket As I am !! But due to Working Hours It Was Not Easy to Watch it On Home so Today i Will Share With you that how you Will Enjoy these World Cup in your Office or On the Go!!!!!!!!! 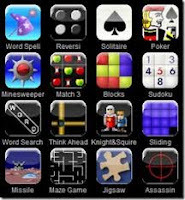 Hi Readers, Today I want to Share you the secret Of Playing Your mobile Games on your PC and All it for Free!!!!!!! !